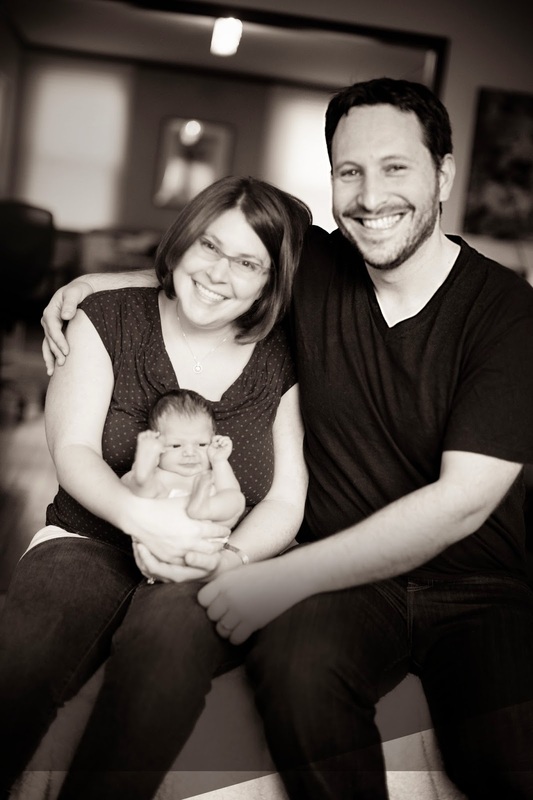 "We loved having a post partum doula and think that Chris was amazing. She came in every morning and before I was out of bed almost everything I could think of that needed to be taken care of around the house was done. She answered all my questions and if she did not know the answer/wanted more information she researched and came back within minutes or the next day with more information. She worked with me every morning on whatever breast feeding issues I was having the night before and even made Latkes for my family on Hannukah!! I was concerned that it would feel weird having someone we didn't know taking care of things around the house, and while it took a while to adjust to someone basically waiting on us she now feels like family. " "We chose Main Line Doulas because we immediately felt comfortable with Aliza when we met her. She answered all of our questions and when we met with the doula who was going to help us during birth it felt like the perfect match. She worked well with both of our personalities and really listened to what we thought we would need help with and our likes and dislikes. What stands out the most is how well Chris was able to know what myself and my husband needed throughout the labor without us really asking for anything. She was great at being hands on when needed and standing back when not needed without us saying a word. Chris really took our desires and hopes to heart which made the experience feel like everyone in the room was family including her." "It was such a relief just to feel that we weren't alone and had someone to turn to. Our baby surprised us by arriving early, and we were very overwhelmed new parents without family nearby. Our doula felt like a life-saver! I remember the first time she brought lunch to us--a delicious, nutritious meal that she somehow threw together even though there was hardly a thing in our kitchen. It seems silly, but I will never forget how good that lunch tasted and how grateful I was to have one less thing to think about!" "Love Main Line Doulas!!! My husband was away on business 10 days after I gave birth to our baby girl. I have two older children at home; MacKenzie is in 5th grade and John is in 3rd grade. After homework was done, sports practices done, dinner eaten and bedtime started, I was dead on my feet and I had a newborn to take care of. I was able to get through the days while the kids were at school and even drove them around after school, helped with homework and made dinner, I was surviving as a parent counting the days until my husband came home but I wasn't able to sleep. Main Line Doulas came highly recommended to me by a friend who used a birthing doula and had also used a post partum doula. My doula arrived every night at bedtime and took the baby and changed her while I tucked in my older children then I was able to feed my baby and hand her back off for my doula to settle her down to sleep while I made a cup of tea, pumped and went to bed peacefully. She would bring me my baby when she was hungry and I would feed her, drink some water and sleep again. Pure heaven. When my husband came home after two weeks it was nice to have the doula transition some of her nighttime duties to my husband so we could stay on our baby's routine. She stayed with us another week until we felt capable. It is truly a wonderful experience and I will cherish the time I had with my doulas forever. Thank you Main Line Doulas!!" "I was skeptical about hiring a doula for the first time for my fourth birth. However, looking back, I don’t think I could have managed without her, or at least not as well. I forgot about all basic needs when hard labor hit; Having someone remind me to eat, drink, use the bathroom, and even just to breathe was necessary. It was amazing how relaxing simple words and touch can be when there is so much discomfort. I was able to relax so thoroughly between contractions that I fell asleep during the 30 second intervals! I have had 3 previous births so I can honestly admit that I wouldn’t have been able to do that without my doula. Every woman deserves to have the support only a doula can offer. Now I want to be a doula!!!" "I just had my second baby and used a doula for the first time. It is incredible what a difference it made having her there for support. It was still incredibly intimate and she actually helped my husband stay more involved and useful than he was during our first experience (without a doula). I swear that just having a calming presence there and the sound of her voice literally made my contractions hurt less. She also kept reminding us to eat and drink and was able to guide my husband and provide tons of suggestions. My husband was skeptical at first and was afraid he would be left out of the experience, but afterwards he said how helpful it was and he actually felt more useful and involved. There were times when I felt like I couldn't go on and she gave me confidence and reassurance. Now that I've experienced a birth with a doula, if I ever had another child, I would consider it a necessity. I'm a believer"
"I was so excited to attempt a natural birth with my first baby. I received prenatal care through a midwifery clinic and thought finding a doula would help me to achieve my natural birthing goals - it did! Aliza was so kind and patient and informative. She worked with me and my husband on relaxation techniques and explained the birthing process to us in understandable terms. Aliza was especially helpful in strengthening the bond between me and my husband during pregnancy and delivery. She was able to show my husband how to be an active participant in the whole process and she helped me find ways to reduce stress and anxiety before and during delivery. She made herself available for all of my questions and concerns, and proactively reached out to me to check on how I was feeling, including after the delivery. My husband and I are very grateful for all of Aliza’s guidance and look forward to working with her again when we have another child."